Elmore County EMA works with multiple partners regarding the dissemination of public information—both routine and crisis/disaster information. Fostering strong partnerships helps ensure the public is provided information needed during times of local emergencies and disasters in the most accurate and expeditious manner possible. A “success story” reflecting the development of such strong partnerships can be found in the Integrated Warning Team (IWT) – Central Alabama. The Integrated Warning Team (IWT) of Central Alabama consists of local (county, city, university) emergency managers, broadcast meteorologists, and National Weather Service personnel. Each partner has a critical mission to fulfill in getting emergency public information out. 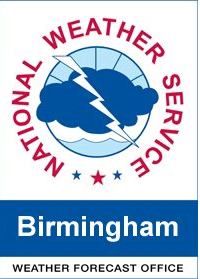 The IWT melded together in 2012, after the devastating tornados in Alabama in April 2011, by virtue of a joint interest in protecting citizens through the weather forecast and warning process. 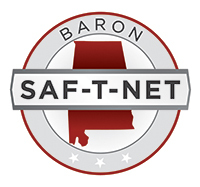 Members have attended IWT Workshops to discuss areas of improvement, local and agency-wide strategies, and ways to work better together to improve the future safety of Alabama citizens. During each workshop, participants developed better understandings of the missions, roles, and obstacles faced by IWT members in protecting Alabama citizens in the weather warning process. The Elmore County EMA will continue working diligently with all our partners to ensure citizens are provided with the most accurate, timely and thorough public information possible, at all times.